ABU DHABI (October, 2012) — The National Bank of Abu Dhabi (NBAD), the Number One Bank in the UAE, has appointed Gensler, the leading global architecture and design firm, to design the new NBAD Global Head Office in the heart of the new Abu Dhabi Central Business District on Al Maryah Island. Gensler is providing full design and supervision consultancy services including architecture, interior design, landscape design, engineering and site supervision services. 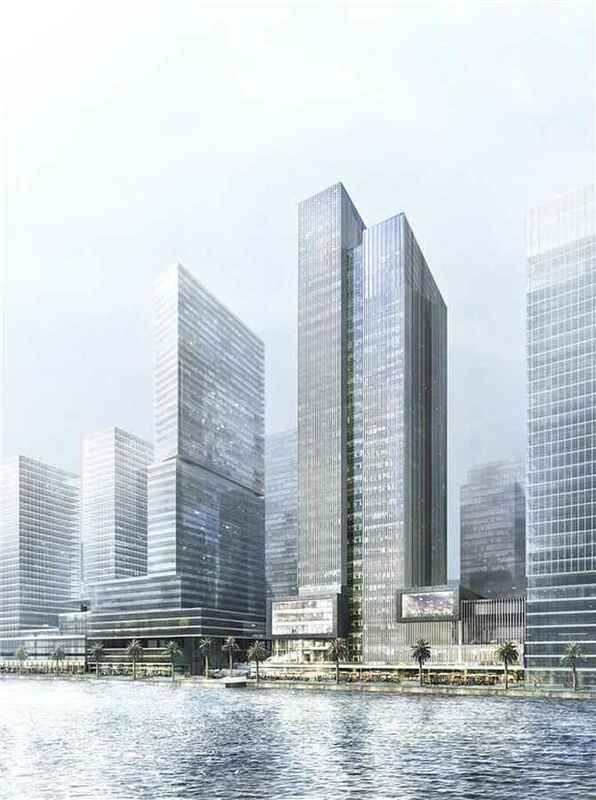 The new 67,300 square meter, 31-floor, landmark building will be located on a key site within the Al Maryah Master Plan facing both, the waterfront and a main access road. The building primarily accommodates commercial office space while incorporating multiple functions, including hub bank, tower lobbies, trading floors, auditorium, conferencing center and cafeteria. Al Maryah Island will be the core of Abu Dhabi’s new Central Business District as designated by the Urban Planning Council in its visionary Plan Abu Dhabi 2030. NBAD’s new head office will be a distinctive building with a strong presence, sculpted around the island’s master plan. “NBAD is an integral part of Abu Dhabi’s fabric; this move confirms our commitment to serving and building Abu Dhabi and the wider UAE nation by supporting milestone projects to achieve Abu Dhabi Vision 2030 and we are proud to take a leading role in the evolution of Al Maryah Island, which will further strengthen Abu Dhabi’s role as a financial hub,” says Abdulla Mohammed Saleh AbdulRaheem, the Deputy Group Chief Executive of NBAD. Gensler’s design team created a timeless modern structure with a unique form and sleek silhouette that will enhance Al Maryah’s skyline. 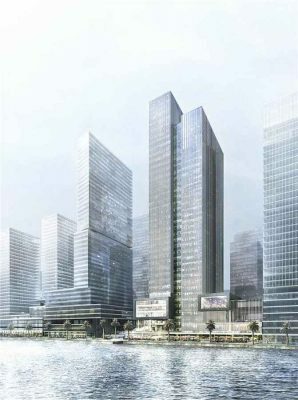 The building is designed around a symmetrical central core that displays a clear axial relationship between the waterfront and main vehicular road. 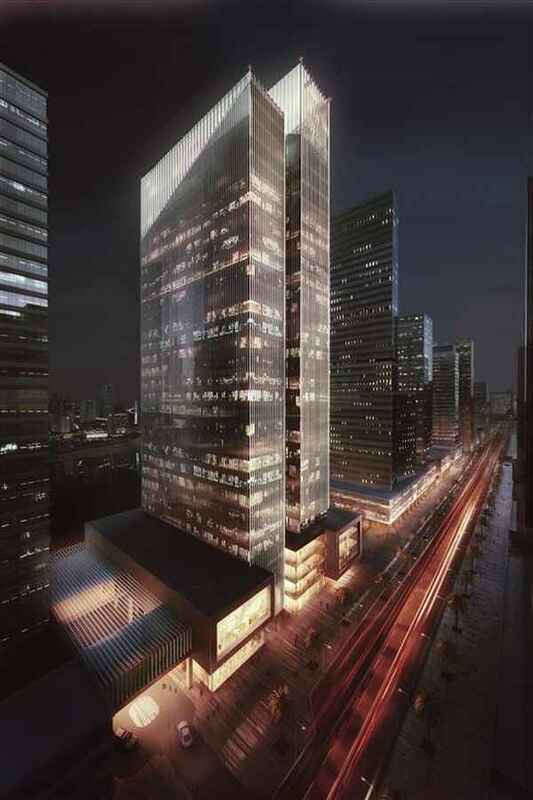 The overall massing is spilt into two thin towers emphasizing verticality and slenderness. A key driver of the design concept was to compose a facade to reflect the presence of a well-established bank, within the context of contemporary society. To accomplish this, Gensler designers “veiled” the building with an arrangement of vertical fins that are used to extenuate the towers, while simultaneously creating a dynamic exterior that responds to the environment due to the varied fin rotations. During the day the fins modulate light and provide solar protection, in the evening they provide the illusion of a streaming glow, which creates the aesthetic perception of authority in a simple straightforward manner. As a leading architecture, design and planning consultancy, Gensler has been active in the region for over 18 years. We are the creative force behind a number of high profile planning, architectural and interior schemes which reflect the region’s ambition to establish itself as a leading tourist and business destination. Working with a range of private developers and government organizations, we have gained sound knowledge of local practices, traditions and cultures that influence the form and scope of development in the region, across commercial property, hotels, landmark buildings, leisure projects and master planning. Gensler is a global firm, with more than 3500 professionals networked across 42 offices on five continents. Consistently ranked by U.S. European and international industry surveys as the leading architecture and interior design firm, Gensler leverages its deep resources and diverse expertise to develop design solutions for industries across the globe. Since 1965, Gensler has collaborated with clients to create environments that enhance organizational performance, achieve measurable business goals, enrich people and communities, and enhance everyday experiences. The National Bank of Abu Dhabi (NBAD), The Number One Bank in UAE, was incorporated in 1968 and is listed on the Abu Dhabi Securities Exchange (ADX), under stock code (NBAD). Ranked as one of the top 50 safest banks in the world, NBAD currently operates across 15 countries on four continents. NBAD has a network of 123 branches and more than 550 ATMs to provide banking services to customers all over the UAE. Besides brick & mortar branches, NBAD provides 24 hour internet banking access through NbadOnline and NbadDirect, the SMS-based payment service (Arrow) as well as account access and personalised customer support through its 24-hour Call Centre. NBAD’s overseas network stretches from Oman, Kuwait, and Bahrain in the G.C.C. ; Egypt, Libya, and Sudan in Africa; Jordan in the Levant; UK, France, and Switzerland in Europe; Hong Kong, Shanghai-China, Malaysia in the Far East to Washington, D.C. in the U.S.A. Overall, NBAD has nearly 50 branches and 60 ATMs outside the UAE. NBAD provides its customers with a wide variety of financial services targeting all segments of the consumer and corporate markets. NBAD is rated senior long term/short term A+/A-1 by Standard and Poor’s, Aa3/P1 by Moodys and AA-/F1+ by Fitch giving it one of the strongest combined rating of any Middle Eastern financial institution.